An open letter to White people who tire of hearing about slavery when they visit slave plantations: especially Suzanne Sherman. This is brilliant. Read, learn, and look history in the face. As a southerner and a southernist I am excited by this song and video, but I can’t do it the justice it deserves. So, I am relying on the rich voices of others–black and feminist–to break it down for you. About its message and meaning and layers and importance. It’s a pop culture moment for the South, but so much more. Read Zandria Robinson’s thoughts on “Formation” on New South Negress and in Rolling Stone. 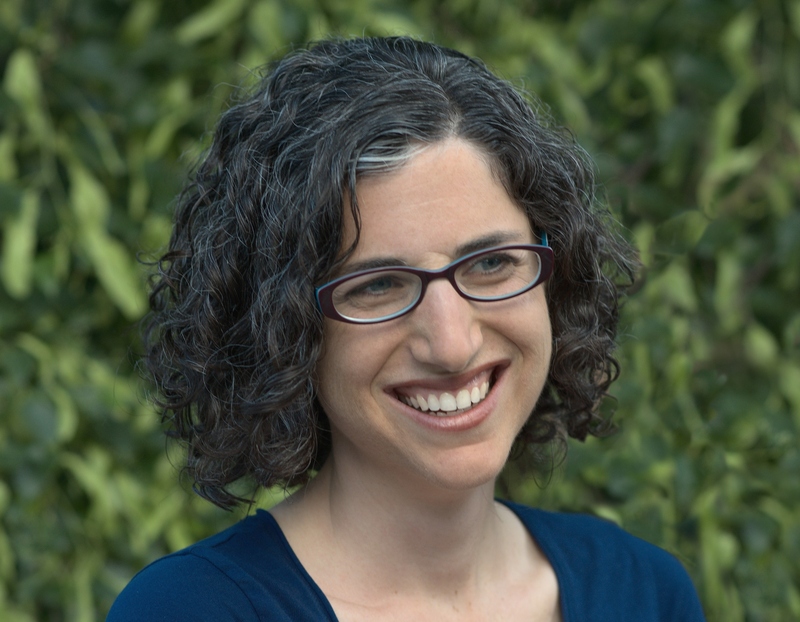 Regina Bradley writes about it at Red Clay Scholar. Both Drs. Bradley and Robinson also appear in a piece about “Formation” on NPR. And from New Awlins, Dr. Yaba Blay on Colorlines. Read Awesomely Luvvie’s post, too. She’s a humorist, but she’s making some salient points, too. Immigration from Mexico is very relevant to our understanding of the contemporary American South. 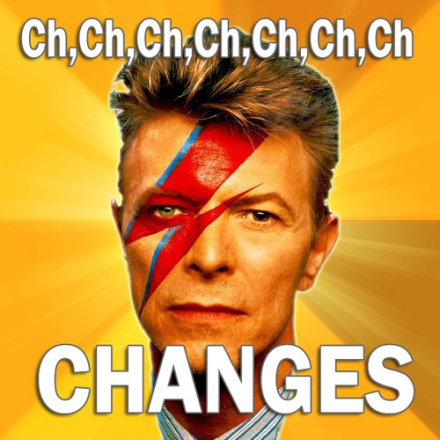 It’s also been a political hot potato. 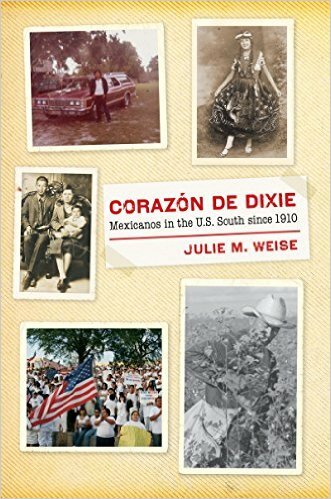 To help us understand the history of Mexican immigration to our region, Pop South talks with historian Julie M. Weise, an Assistant Professor of History at the University of Oregon, about her new book Corazón de Dixie: Mexicanos in the U.S. South since 1910. PS: For general readers, why does your book begin in 1910? Mexican-origin people have been a significant part of U.S. history since 1848, when the United States took what is now the U.S. Southwest from Mexico and made those who were living there into U.S. citizens. But 1910 is when the major narrative of Mexican American history shifts from conquest to immigration. The Mexican Revolution began that year, and the upheavals it caused kicked off the first major wave of cross-border migration; this only quickened due to demand for Mexican labor during World War One and the Roaring ’20s. Most people think of this migration having gone only to the Southwest; scholars have explored it also for the Midwest. But when one looks back to sources written at the time, it becomes clear that Mexican migrants were really everywhere in the U.S. during the 1920s — from Alaska to Pennsylvania, and indeed, Louisiana, Arkansas, and Mississippi. These latter migrations are the subjects of my book’s early chapters. PS: How has the culture of Mexicanos added to the culture of the American South? The influence of Mexicano culture on Southern culture has, at least until recently, been experienced at the very local level, and at times has even been deliberately hidden; this is part of why it has taken so long for their story to be told by historians. Mississippi’s signature Hot Tamales were most likely first brought there by the thousands of Mexicanos who lived and worked in the Delta in the 1920s-30s; yet, those Mexicano descendants who remained in the Delta deliberately assimilated into the white side of the color line and seldom acknowledged, let alone celebrated, their Mexican heritage. 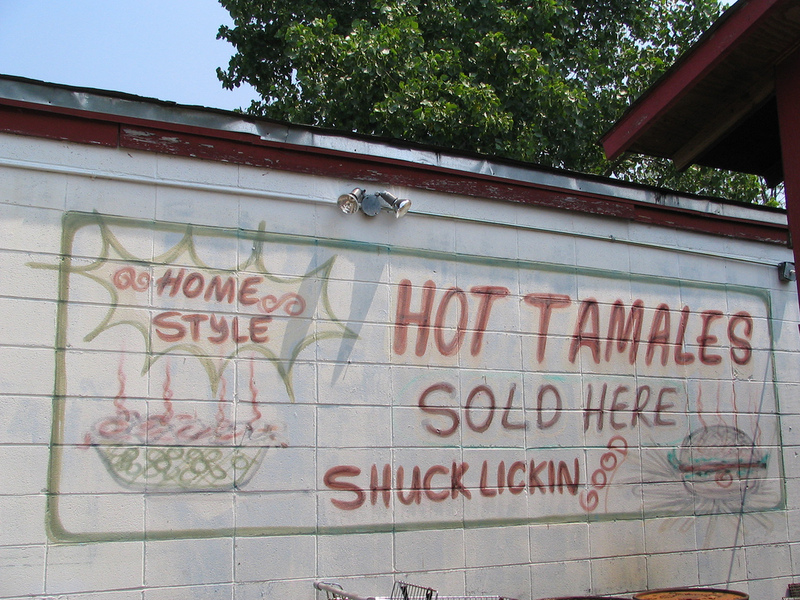 So until recently, the tamales were not closely associated with their original purveyors. Across the river, black and white people who lived in the Arkansas Delta in the 1950s –many still alive today– have vivid memories of the exciting cosmopolitan influence that Mexican workers brought to their small towns during that decade. PS: What makes the experience of Mexicanos in the South similar/different from other regions of the United States? During the Jim Crow period, Mexicanos struggled economically everywhere that they worked as low-wage, mostly-rural laborers; the South often provided them a bit more economic mobility than elsewhere but at other times, their economic conditions there were worse. However, the limits placed on Mexicanos’ life chances specifically by race were much less significant in the South than in the Southwest. The Treaty of Guadalupe Hidalgo (1848) was interpreted by courts to guarantee Mexicans’ legal classification as white, but Southwestern locations like Texas and California found workarounds and still solidified Jim Crow exclusion of Mexicanos from the privileges of whiteness. By contrast, Mexicanos were oppressed by a distinctly non-white racialization in early 1920s Mississippi, but by the 1930s had successfully challenged that status and eventually assimilated onto the white side of the color line. Interwar New Orleans is perhaps best compared to Chicago or Los Angeles, urban locations that also had growing black and European immigrant populations in that period. My research shows that New Orleans is unique among these cities, the only place historians have yet uncovered where Mexicanos’ racial experiences were much closer to those of European immigrants (not just off-white Italians and Jews but even German and French immigrants) as opposed to their Mexicano counterparts elsewhere. PS: In the current debate over immigration, there is tough talk about building a wall on the southern border of the U.S. to keep Mexicans out. Historically, how has the U.S. South evolved in its thinking about Mexican immigration to where it now includes support for a wall? From the 1960s-90s, Mexicanos became an important rhetorical symbol for white conservatives in Southern agricultural towns. Mexicanos came to be seen as a not-black minority with whom white conservatives and Evangelicals could “build bridges” across race lines without directly confronting slavery and Jim Crow. This was an opportunity to make amends for their opposition to civil rights for blacks, while at the same time having a convenient foil with which to criticize blacks’ work ethic. In that sense, the growing population of Mexicanos in conservative parts of the South shaped particular local cultures of pro-immigrant conservatism, which defied (and often butted heads with) national trends in anti-immigrant politics during the late twentieth century. For example, local white conservative legislators would regularly do everything they could to prevent immigration enforcement, and white Evangelicals invested disproportionately generous resources ministering to Mexicanos as opposed to white or black poor people in their communities. Paradoxically, the South’s integration into the nation, and the adoption of California-generated images of Mexicanos as unworthy consumers of whites’ tax dollars, has made local conditions and policies progressively harsher for the South’s Mexicanos since about 2005. These movements have been based more commonly in the region’s least “Southern” spaces–suburbs and exurbs–rather than its traditional rural areas, though that may be changing as we speak thanks to forces unleashed by the campaign of Donald Trump. While some say the Southernization of U.S. politics accounts for its rightward turn in the 1980s, it’s the Westernization of Southern politics that accounts for the South’s recent turn to the right on immigration. Writing Corazón de Dixie while teaching courses on global migration, I began to notice intriguing parallels between the ideas of Mexican workers and their government officials about what migration was supposed to accomplish for Mexican men in postwar Arkansas, and the ideas about migration held by migrants (Spanish, Italian, and Turkish among others) who worked in northern Europe, particularly Germany, during the same period. I am excited to be now learning German and perfecting my French so that I can study the ways these discourses moved across the Atlantic, and perhaps the Pacific as well, in the postwar period.